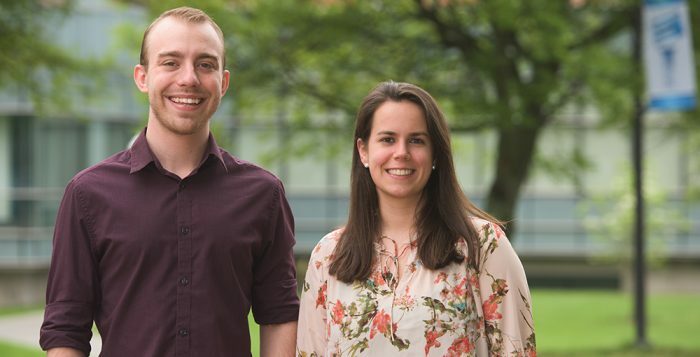 Recent graduate Jesse Manning, ’18, and his girlfriend, Heidi Reinprecht, class of ’17, are already using their communications expertise to change lives 7,000 miles away in Uganda. 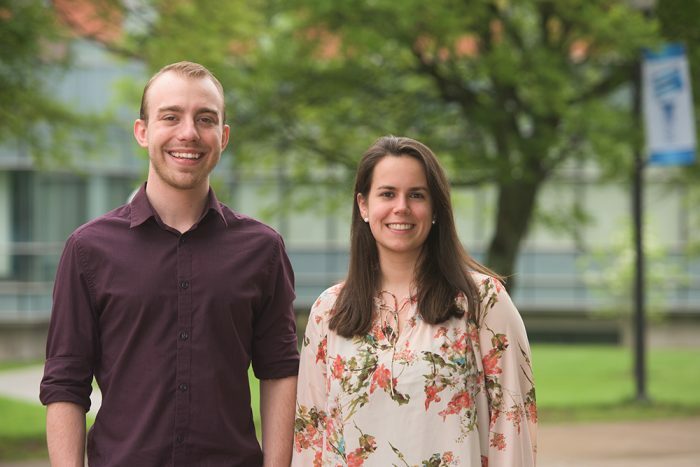 Manning, 22, and Reinprecht, 25, who have started their own film production company, will fly to Uganda July 12-25 to film a documentary on a primary school built from donations that has positively changed life outcomes for more than 550 children from nursery school to 7th grade. Their hope is that by telling the poignant stories about the value of education through the eyes of the children, parents, and educators, more people will want to donate money and/or time to the cause. The school was established through HELP International Uganda, a partnership between HELP International and the Ugandan people in Eastern Africa. The mission focuses on breaking the cycle of poverty, illiteracy, and hunger in the small, poverty-stricken Ugandan village of Masese. 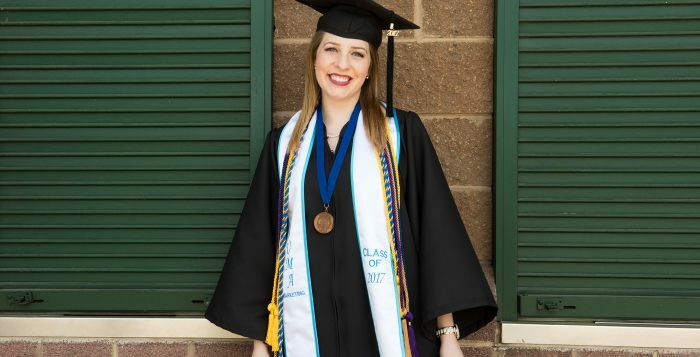 Manning, who hails from Trumbull, majored in communication and became enthralled with the cause after a friend, Christopher Martin, who attends Molloy College in New York, returned from an internship in Uganda. Martin couldn’t stop raving about the beauty of the school’s impact through educating, feeding, and delivering medical care to 550 impoverished children who wouldn’t otherwise be able to attend school. Primary school in the village normally is not free and so many don’t automatically receive an education. When Martin shared his experiences, Manning felt an instant connection. 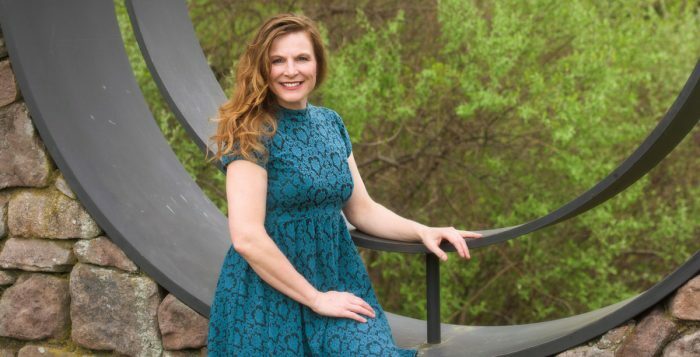 The couple already has a film company — Little Tree Farm Productions — and the farm in the name is intended to convey that people can “grow their ideas,” Reinprecht said. Promoting the school through film “felt natural,” said Reinprecht, who noted, “I’ve always wanted to help people,” she said. The couple has raised $5,000 toward the trip — enough to get them there — but are fundraising about $10,000 more to pay the rest, including insurance, medical expenses such as vaccinations, and production costs. They are donating their time to make the film. The pair met in their first film class at Southern and were always paired after that in class. 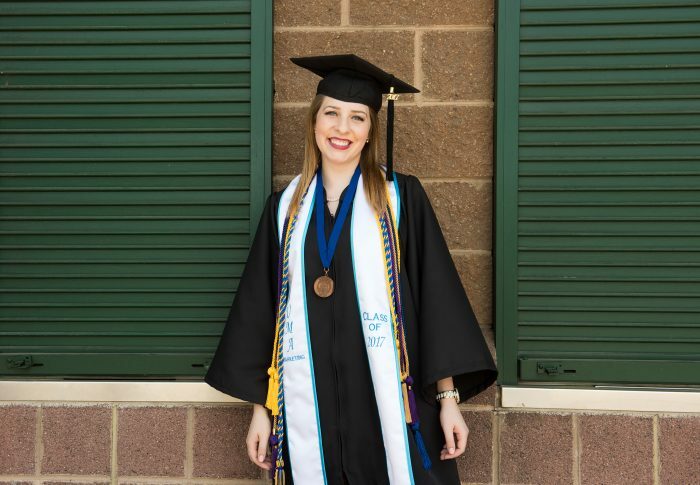 Reinprecht, originally from Watertown, graduated in 2017 with a bachelor’s degree in communication with a concentration in film and television. Reinprecht says she has sensitive ears and is an audio production specialist, while Manning is a natural with the camera. “He’s my extra set of eyes and I’m his ears,” she said. Their approximately 40-minute documentary will highlight the climate of the village before the school was built, what it has become, and an expansion planned for the future. “We want people to take away from it that they can really help,” Manning said. Martin became involved during his sophomore year of college when he interned with a global justice NGO aligned with the United Nations. Martin’s area of expertise was micro-finance, which included giving small business loans to people in developing nations. His professor was involved in the school in Uganda. “We decided to team up to give small business loans to people in the village,” Martin said. But he fell in love with the school as well, and this summer Martin will make his fourth trip to Uganda in three years, volunteering in the school, tutoring the children, and helping in any other way needed. Martin is excited about the impact of his friends’ documentary. “The biggest thing for people who have not seen the project – film might make them want to help,” he said. As a sociologist, White’s research interests include sociology of education; sociological theory; race and ethnicity; urban sociology; gender; and race and class. Yet his involvement in the Southern community characterized his graduate school experience as much as his academic work. Among his significant activities on campus were his roles as president of the Graduate Student Affairs Committee (GSAC), co-chair of the Graduate Student Research and Creative Activity Conference Organizing Committee; chair of the Social Functions Sub-Committee of GSAC, and a member of the Presidential Inauguration Committee, the Newtown Screening Planning Committee, the Provost Search Committee, and the President Inauguration Celebration Committee. “It’s been phenomenal here,” White says. 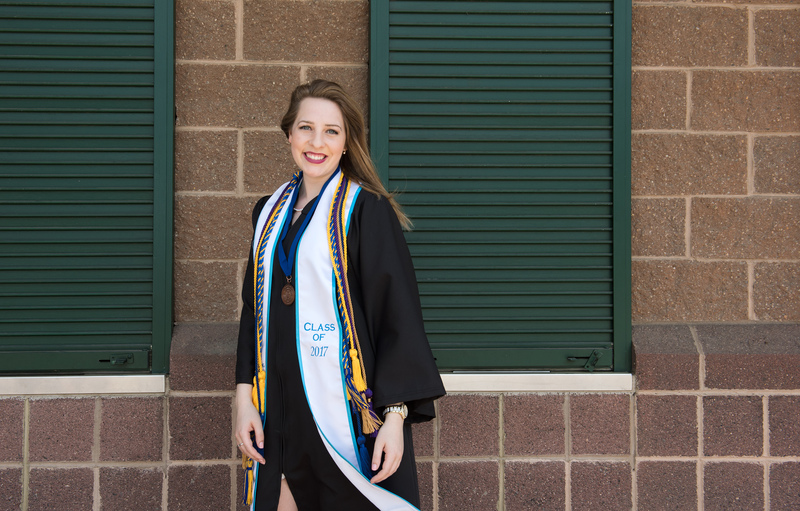 “I’m so grateful for all the opportunities I’ve had at Southern. GSAC opened a lot of doors to me.” One significant legacy White leaves at the university is the Graduate Student Research and Creative Activity Conference. 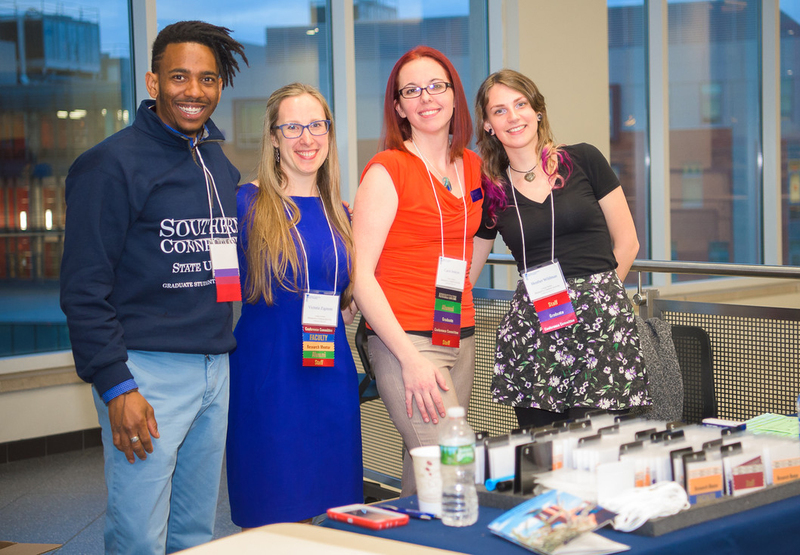 He and Graduate School Dean Christine Broadbridge came up with the idea of letting students showcase their work, and thus was born the conference, which was held for the second time this spring. Color-blind racism, he explains, is when people say they don’t see color in others of different races. “They’re ignoring systemic racism,” he says. Meyerhoffer’s and White’s research looks at the idea that people want to live around people who look like them and are like them. That’s not always true, White says. Their research seeks to understand why people live in certain areas. 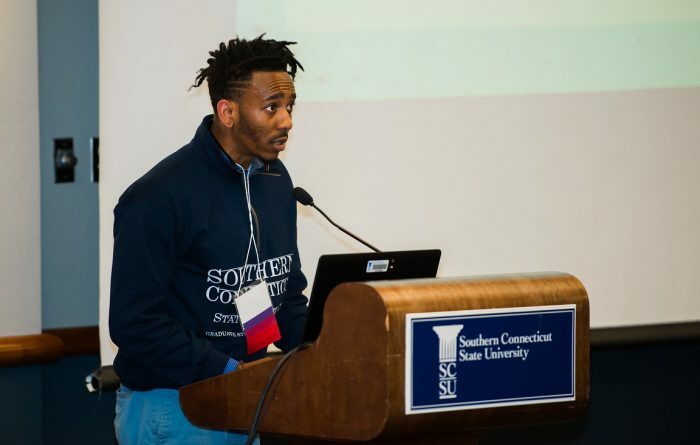 In addition to working in NSSP at Southern, White gave a talk entitled “A Tale of Perseverence – Creating Support Systems and Self-Efficacy” at the 2017 Annual Meeting of the Eastern Sociological Society, at a session geared to undergraduates. “I wrote a paper on how I created my own support systems,” White says. “But it also has helped me to believe in myself and believe that I’m able to do graduate work.” He wants to go on to earn a Ph.D. in sociology. White grew up in Middletown and still lives there with his wife and daughter. “My wife has been awesome in helping support me during my school,” he says. He counts himself lucky to have an amazing family to support him in his academic achievements and goals. “I never thought I’d be doing the things I’ve been doing,” he says. Jonathan Gonzalez-Cruz is beating the odds. 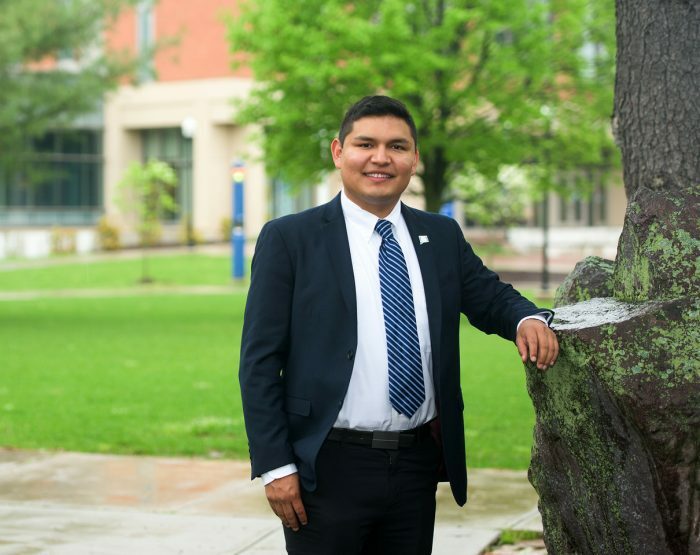 “Graduating college as an undocumented student is the exception — not the norm,” he says. Statistics verify his words. About 65,000 undocumented students graduate from U.S. high schools every year — and just 5 to 10 percent go on to college, according to the College Board’s 2009 report, Young Lives on Hold. But on May 18, Gonzalez-Cruz will cross the stage of the Webster Bank Arena in Bridgeport. 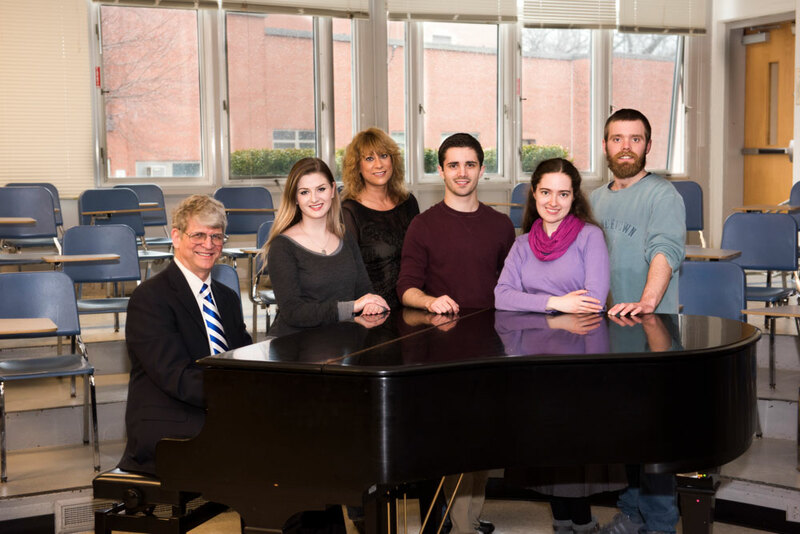 Conn., to accept a degree in mathematics and economics from Southern Connecticut State University — with departmental honors in the latter. Gonzalez-Cruz was born in Mexico City and came to the U.S. with his family when he was 4 years old. Today, the 22-year old is in the U.S. through the Deferred Action for Childhood Arrivals (DACA) program. It’s an increasingly precarious position, and as a result, he’s spent his college years juggling — balancing the demands of intensive Honors College courses, two challenging majors, and political activism at the local, state, and federal levels. He says the undeniable pull toward political activism began the day after Donald Trump was elected president. “I remember that night — realizing that not only my future as an undocumented immigrant was threatened, but also the futures of my brother, my mother, and many of the kids I worked with as a catechism teacher and during summer camps,” he says. Gonzalez-Cruz [second row, second from right] joins others in support of undocumented students. Gonzalez-Cruz has felt the anguish of family separation personally. He was only a sophomore in high school when his father was deported to Mexico after a minor traffic stop led to his arrest. He clearly recalls being unable to say goodbye, watching the Immigration and Customs Enforcement (ICE) van drive away, and realizing that his father wouldn’t return home. Despite the heartbreak and turmoil, Gonzalez-Cruz excelled at school, even tackling challenging advanced-placement courses. 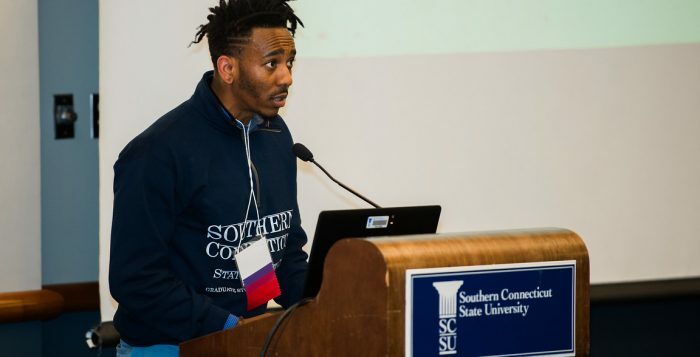 In 2014, he enrolled at Southern where he was accepted into the competitive Honors College and was awarded a prestigious Presidential Merit Scholarship, which covered full tuition and fees. He immersed himself in the Southern community, mentoring high-achieving, low-income students from New Haven Public Schools through the Gear Up program and serving as an undergraduate teaching assistant. Then, as threats to DACA became widespread, he made a decision. “I knew there were two pathways in front of me: remain silent and let whatever happens happen, or take an active role fighting for the fate of undocumented immigrants and their families,” he says. 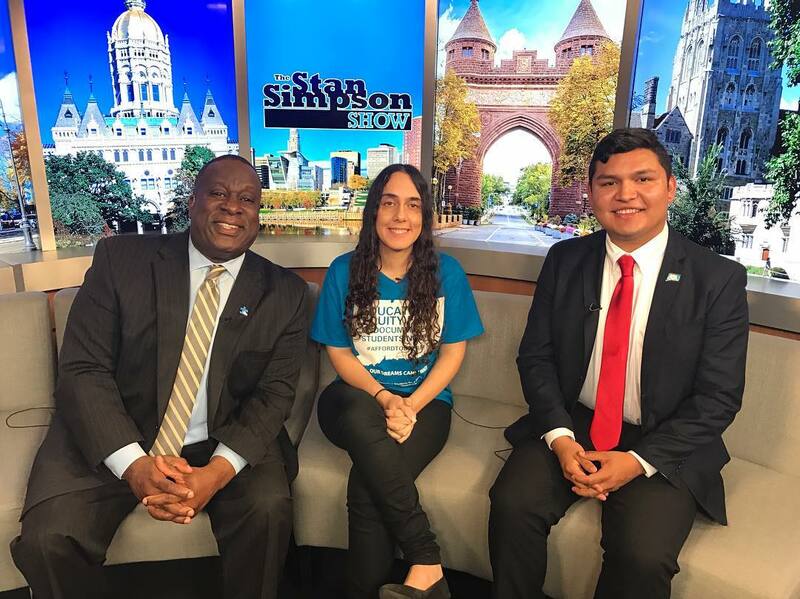 Jonathan Gonzalez-Cruz, ’18, appearing on Fox 61. Gonzalez-Cruz chose the latter. 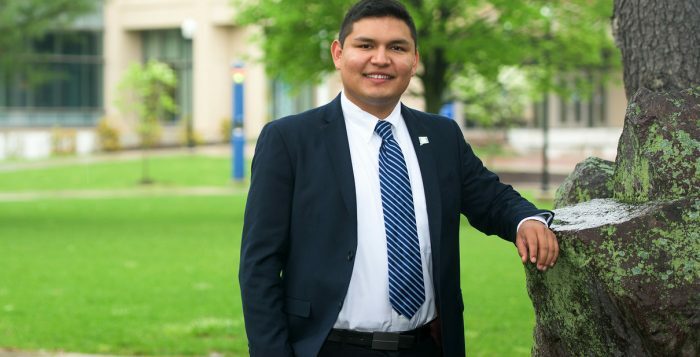 He joined Connecticut Students for a Dream, an undocumented-youth-led organization. With the group’s help, he led events for undocumented immigrants in the community and also held presentations for educators who worked with this population. Eventually, Gonzalez-Cruz decided to take a more public role, sharing his story with the media to draw attention to the plight of immigrant families. “My involvement centers on immigration because I understand the pain of coming home every night to an empty plate at the dinner table,” he says. He’s seen numerous triumphs. Lobbying efforts in Washington, D.C., secured the support of U.S. Senators Richard Blumenthal and Chris Murphy, both of Connecticut. In December, he was elected vice president of the Greater New Haven Young Democrats. 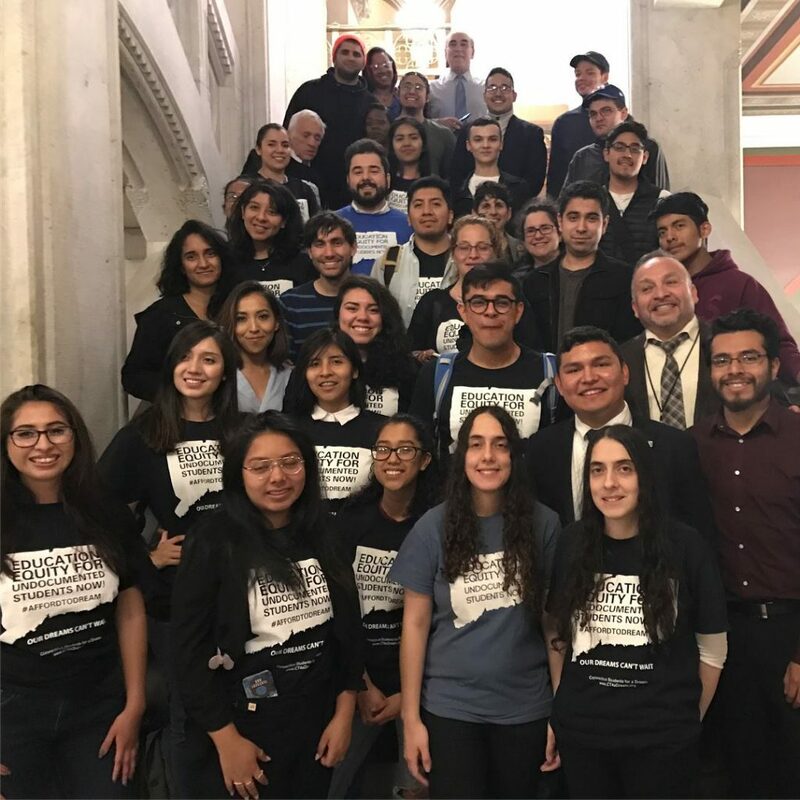 More recently, the Southern senior helped lobby successfully for passage of a Connecticut bill that allows undocumented students to apply for institutional aid. 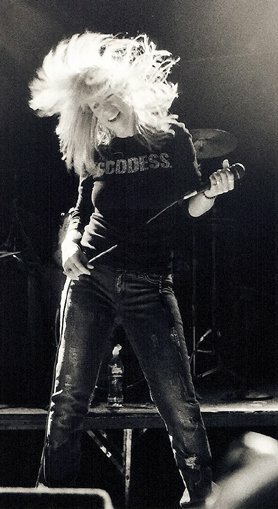 Connecticut Gov. 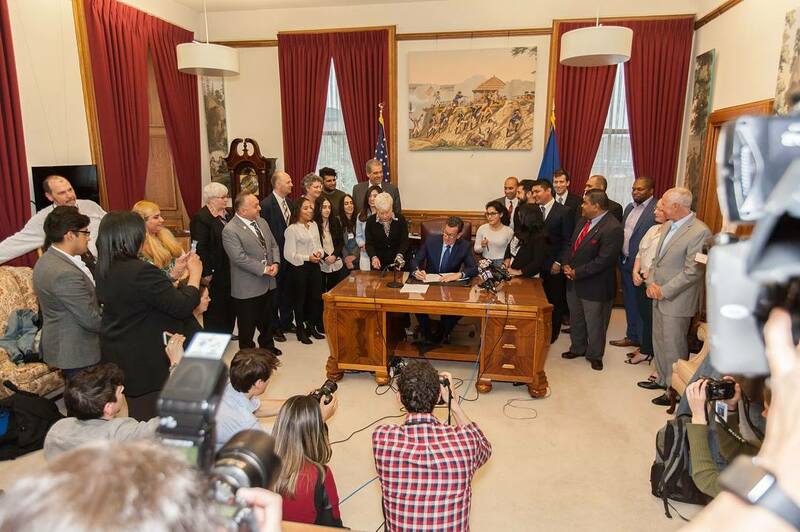 Dannel P. Malloy signs legislation that allows immigrant students without legal status to be eligible for institutional financial aid at state-run colleges and universities. “I am so proud that we were able to help get this legislation passed,” says Gonzalez-Cruz witnessing the signing, seventh from right. Gonzalez-Cruz will be among them. He was an immigration law intern with the firm, Krasnogor & Krasnogor, and plans to attend law school — with a goal of working toward immigration reform. In the meantime, he is a top applicant for the highly competitive Congressional Hispanic Caucus Institute’s Public Policy Fellowship Program. The final selections will be announced later this spring. 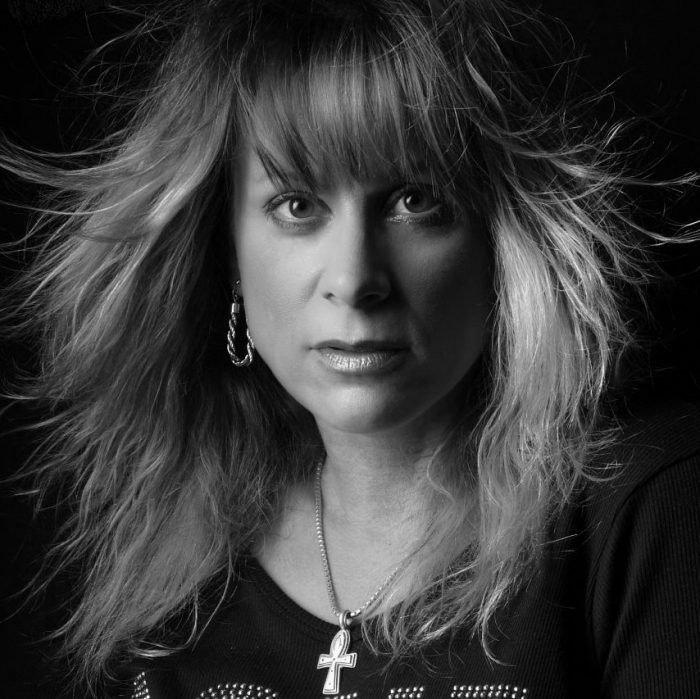 Mick Powell is a poet who, she says, “likes revolutionary acts of resistance.” Resistance and revolution can take many forms, and Powell weaves both into her writing through poetic form, language, subject matter, and imagery. 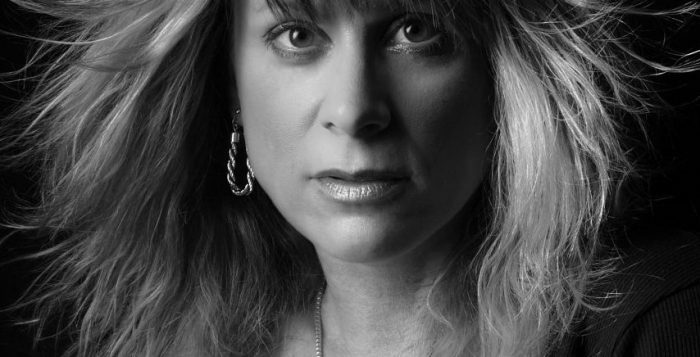 “I like that poetry can challenge what we typically think of as poetry,” she says, and indeed her own poems – often provocative and experimental – can push the reader out of familiar territory. 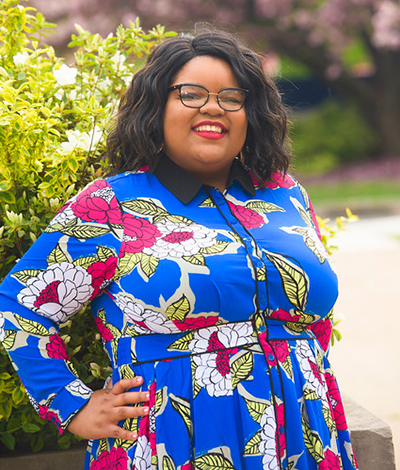 Powell, who graduates this spring with her MFA in creative writing, has just won two major prizes for her work, so her powerful writing is garnering significant attention. 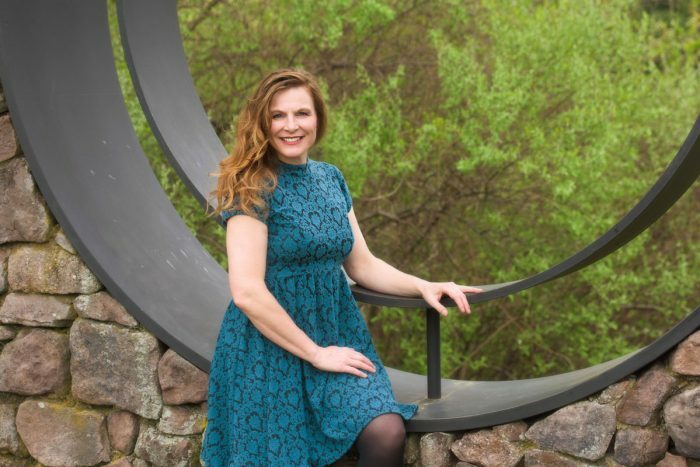 Her chapbook, chronicle the body, won the 2017 Chapbook Contest held by Yemassee, the official journal of the University of South Carolina, and her poem “last night I dreamed KJ undead” was a winner in the Winter Writing Contest sponsored by Columbia Journal, based in the Graduate Writing Program at Columbia University School of the Arts. The chapbook is based on the thesis she wrote for the MFA, and the poem she wrote for her friend KJ, who was murdered in the Pulse nightclub massacre in Orlando. 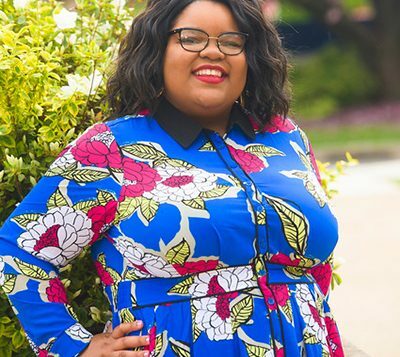 With the rise of spoken word and slam poetry, and their accessibility through such online platforms as YouTube, Powell says she became more familiar with these forms. She shifted from writing fiction to writing poetry as an undergrad, but “always knew I wanted to go to grad school. 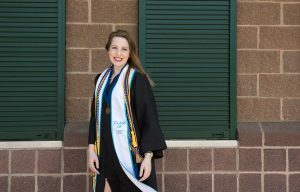 I was especially interested in women’s studies and poetry and found myself wanting to talk about poetry through a women’s studies lens.” She was attracted to Southern because of both the Women’s Studies Program and the MFA program and started at the university in 2016. As the winner of the chapbook contest, Powell will receive $1000 and 25 copies of her published chapbook. For the Columbia contest, her poem will be published in the journal and she will receive $500.